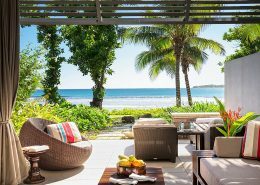 Ticks all the boxes for a fabulous getaway. 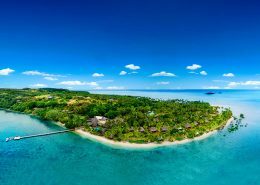 As Fiji’s only integrated resort complex, guests can make the most of Starwood Fiji’s ‘Stay in One, Play in All Three’ philosophy, with access to the complex’s 14 restaurants & bars, 6 swimming pools, tennis courts, lawn bowling green and 18 hole championship golf course. 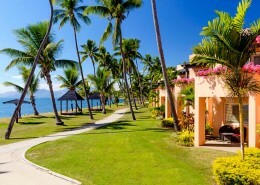 5 night Fiji holiday package deal @ Sheraton Fiji Resort. 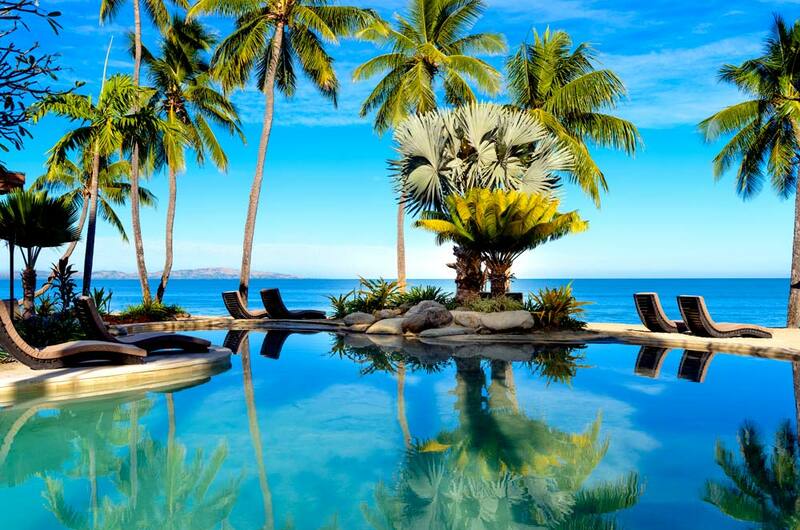 Fiji time. 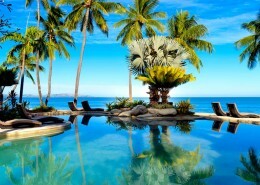 Ease straight into ‘Fiji Time’ in a perfect holiday destination at a perfect holiday package price. 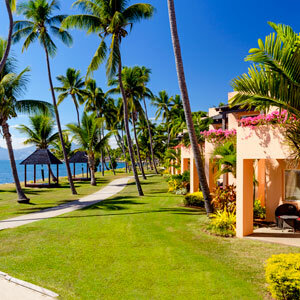 Bula! 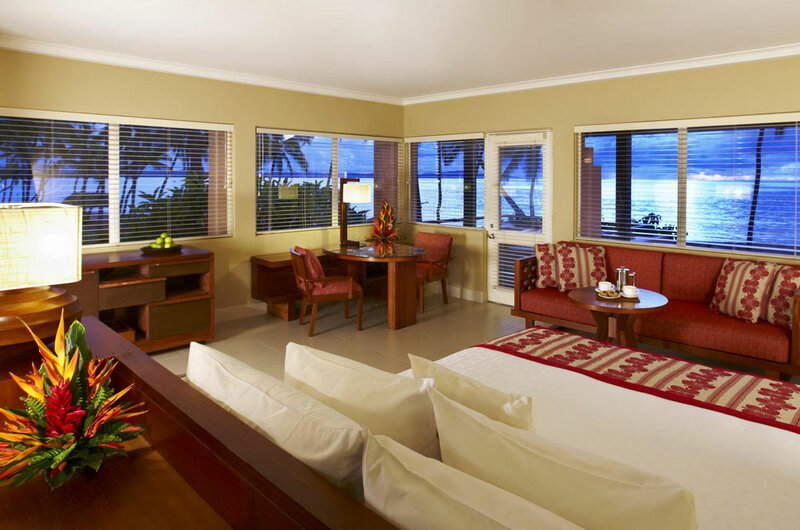 The Sheraton Fiji Resort on Denarau Island is one place that has it all. 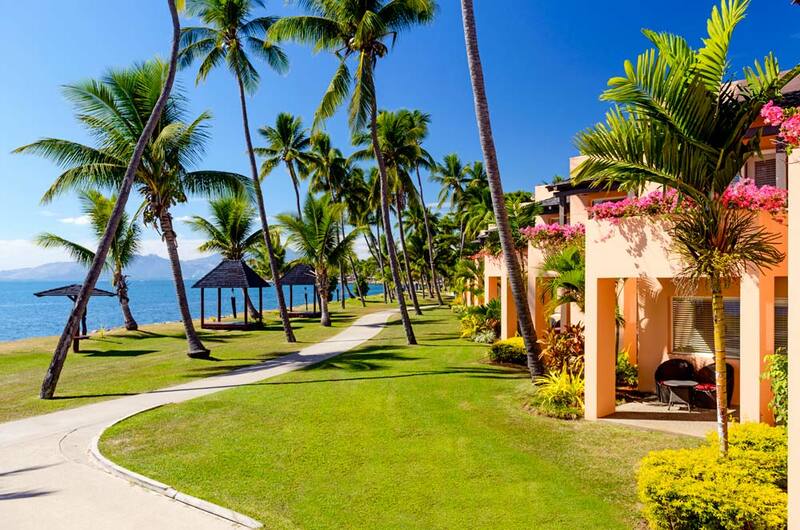 Just a short drive from the airport to Denarau Island, Sheraton Fiji Resort is a fabulous getaway choice. 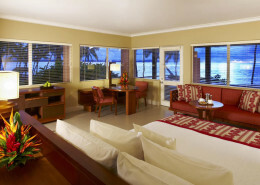 With dining options, kids club, loads of activities & huge price reductions what’s not to love? Valid for travel 28 October 2019 to 31 March 2020 (block-out dates & high season surcharges apply). Sale to 30 April 2019. Package available for travel 28 October to 25 December 2019 & 13 January to 31 March 2020. Non-changeable & non-refundable rates. Must be paid in full min 60 days prior to travel. Further discounts apply depending on travel dates, ask your consultant for details. *Terms & conditions apply: Valid for travel 28 October to 25 December 2019 & 13 January to 31 March 2020. High season surcharges apply. Sale to 30 April 2019. Discounts vary depending on travel dates. Breakfast for 2 people included daily. 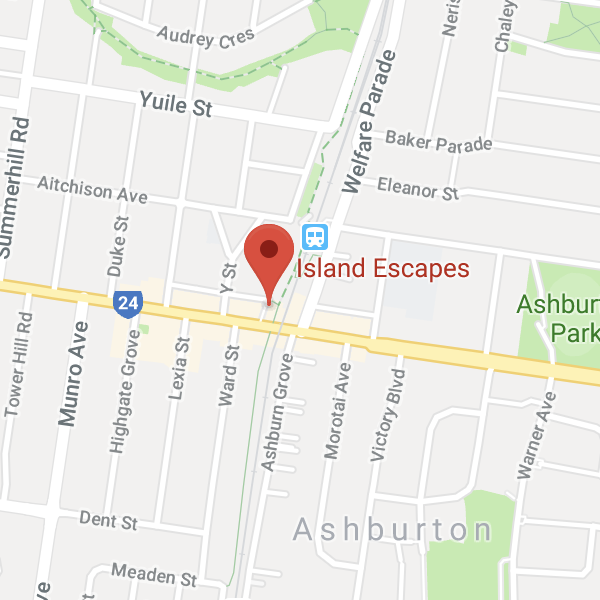 Minimum 5 night stay applies. Package based on non-changeable & non-refundable rates, with full payment required minimum 60 days prior to travel. Prices shown are a guide only, based on low season availability & subject to change. Extra nights may be required due to flight times (extra costs apply). 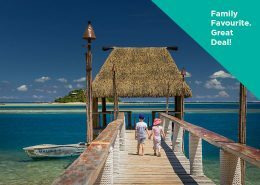 Price per adult, twin share, valid for new bookings only & based on Fiji Airways sale fare.  Please contact us for an exact quote on the dates you wish to travel. Other conditions may apply.